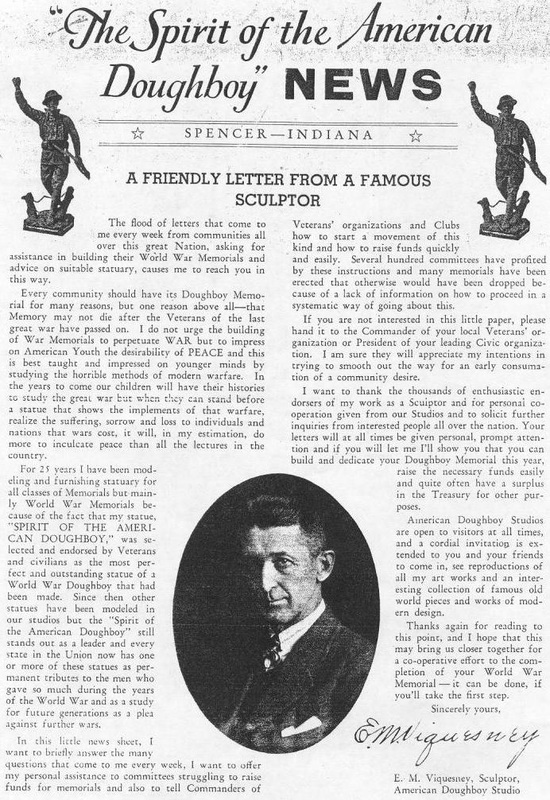 "A Friendly Letter from a Famous Sculptor"
In the winter of 1936 -'37, Viquesney published this "friendly letter" which was mainly concerned with selling his famous Doughboy monument, but also included two other pieces, "The Unveiling" and "The Spirit of America" (or "Americanism", aka "The American's Creed") plaque. 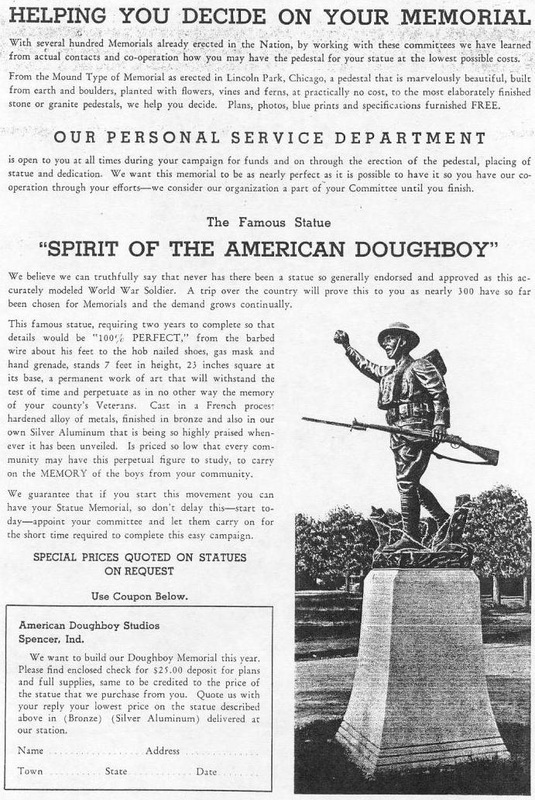 In the 1920s, Viquesney also ran ads for his full-size Doughboy monument in trade magazines like The Monumental News (now Stone in America). 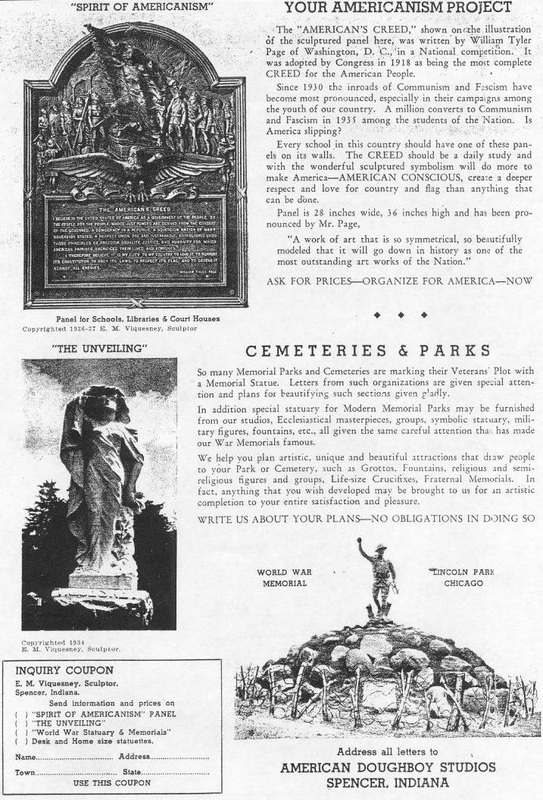 If anyone can find and scan us a copy of one, we would be most appreciative. 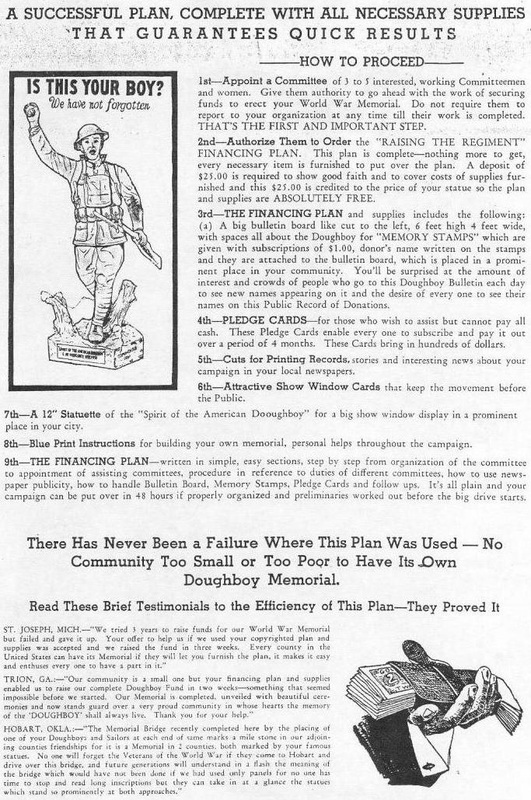 The New York Public Library may have them.